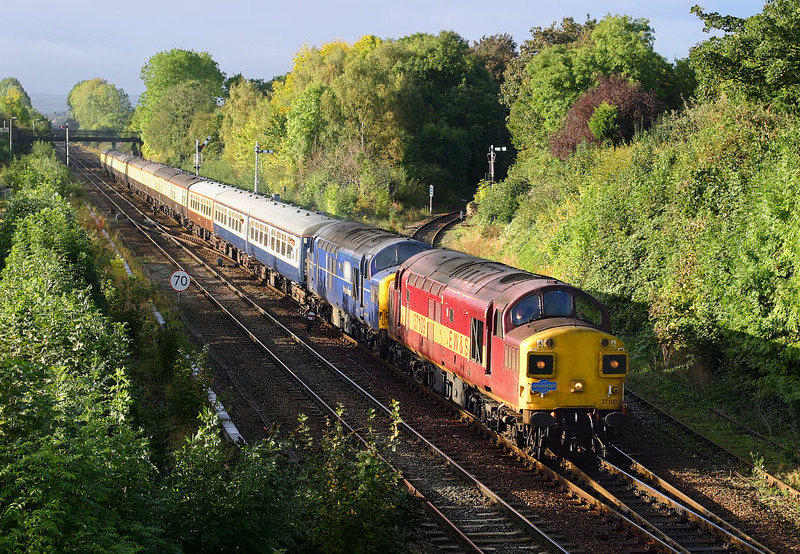 37109 & 37047 pass Sutton Bridge Junction on 2 October 2004 with the Pathfinder Tours 1Z37 06:22 Bristol Temple Meads to Carlisle 'Settle & Carlisle Railway' railtour. The Cambrian Line can be seen disappearing into the bushes behind the locomotives. I wasn't sure how the shadows would affect this location, but as the sun only came out just before the train arrived, there was no time to go anywhere else! Just about OK, but not ideal.